Shown in Ruby 123 but the actual Ruby color is more blue than orange as shown here. Appox finished sixe is 64 Long x 15 1/4 before ruffle. 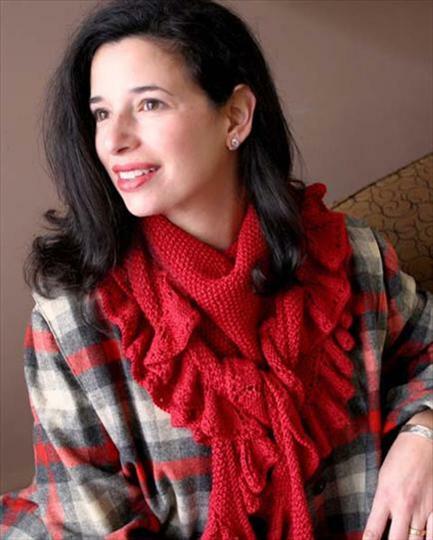 The Ruffle is 2"
reg $85.90 Kit includes pattern & yarn!